The Kettler upright bike Golf C2 is a comfortable fitness machine, which surprises by smart solutions and a drive system with very good features of concentric run. Besides the first-class workmanship of the famous Kettler quality, highest training comfort and an intuitive use are focussed on. 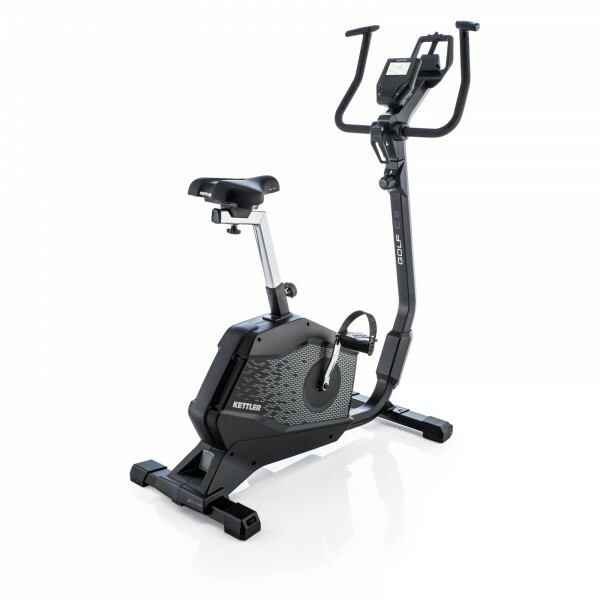 The comfortable frame geometry and the easy-to-use BASIC console make the upright bike a popular fitness companion for older users and leisure sportsmen with physical constraints. Kettler presents the newly developed BASIC FOAM saddle. 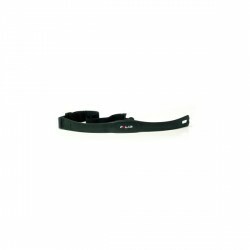 Kettler offers the comfortable saddle - the perfect solution for a quick and easy adjusting of the saddle without tools. The BASIC FOAM saddle can be locked via a central screw on the seat rail. The optimal adjustment system provides a comfortable home training for every family member. In addition, you can choose from two saddles (separately available) with different technologies: FLEXIBLE FOAM and 3D GEL. The Kettler upright bike Golf C2 is equipped with an easy-to-use training computer BASIC, which displays permanently the six most important training data (heart rate, pedal rotations per minute, time, speed, distance, and energy consumption). Moreover, the clear BASIC console offers you the possibility to set the desired targets for training time, training distance, and energy consumption. Kettler upright bike Golf C2 add to comparison list.